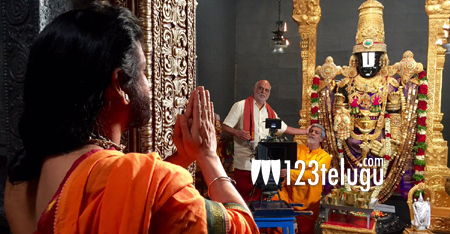 Nagarjuna is currently acting in a devotional film titled Om Namo Venkatesaya. The film is being directed by K Raghavendra Rao and it also stars Anushka, Saurabh Raj Jain, Vimala Raman and Pragya Jaiswal in crucial roles. In his recent Nirmala Convent press meet, Nagarjuna said that the talkie part of Om Namo Venkatesaya is nearing its completion and that only a few songs are left to be shot. Nag also said that the film is high on visual effects and that the VFX team is already working on producing top class VFX. Nag further said that SS Rajamouli’s Baahubali has raised the standards VFX in Indian films to an all-time high and that audience won’t accept any film that features shabby visual effects.